When the Hubble Space Telescope vanishes, Jake Corby is dispatched to figure out who or what is responsible. He’s used to solving problems for the FBI, but hunting down missing satellites? That’s a new one. Corby must struggle to track down and thwart the terrorists yet stay true to the promise he made to his wife: “I won’t do anything heroic.” In the heat of the moment, he finds that it’s no easy matter to achieve both goals. Especially when the future of the United States space program is at risk. This short prequel to Contact Us is filled with the quirky surprises and humor that Al Macy’s readers have come to expect. 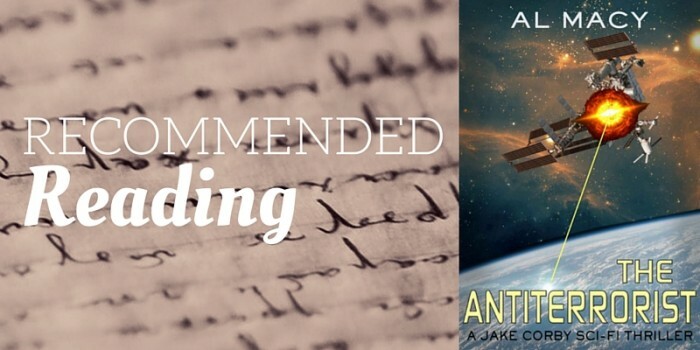 The Antiterrorist is a standalone book, with no cliffhanger or “to be continued” at the end. It may be read before or after other books in the series. The Antiterrorist is available here. Al Macy writes because he has stories to tell. In school, he was the class clown and always the first volunteer for show and tell. His teachers would say “Al has a lot of imagination.” Then they’d roll their eyes.